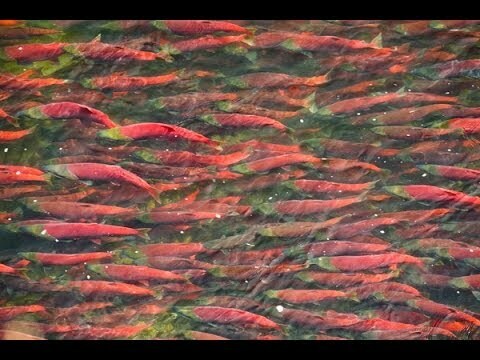 In a stunning reversal, the U.S. Environmental Protection Agency (EPA) said it is suspending its effort to reverse an Obama-era plan to restrict mining in Bristol Bay, Alaska based on a controversial mine project's risks to the region's important salmon fisheries and natural resources. The unexpected move from President Trump's pro-business administration was a blow to Pebble Limited Partnership, a subsidiary of Canadian mining company Northern Dynasty Minerals. The mine developer is proposing to extract one of the world's largest copper and gold deposits from the pristine watershed. Shares fell as much as 26 percent on Monday following the EPA's surprise decision. The Obama EPA in 2014 proposed to block the project under the Clean Water Act but the plan was never finalized after a federal court put a hold on the process. Last year, the EPA started a process to reverse the decision, and Pebble submitted its first permit application to build the mine last month. But the EPA received more than one million comments from interested stakeholders, most that were fiercely opposed to withdrawing the earlier proposed protections. More than 65 percent of Alaskans, 80 percent of Bristol Bay residents and Native communities, and 85 percent of commercial fishermen oppose the mine. Joel Reynolds, the western director and senior attorney the Natural Resources Defense Council noted, "The Bristol Bay fishery is the economic and cultural heart and soul of the region, producing last summer alone some 60 million wild salmon. Every year it generates an estimated $1.5 billion in revenue, supporting some 14,000 jobs in a region that depends on that economic engine for its very survival. According to EPA's own comprehensive assessment of risk, the Pebble Mine's impact on the region could be 'catastrophic.'" EPA administrator Scott Pruitt said Friday, "We have restored process, reviewed comments, and heard from a variety of stakeholders on whether to withdraw the proposed restrictions in the Bristol Bay watershed." "Based on that review, it is my judgment at this time that any mining projects in the region likely pose a risk to the abundant natural resources that exist there. Until we know the full extent of that risk, those natural resources and world-class fisheries deserve the utmost protection." Alaska Gov. Bill Walker thanked the EPA and the Trump administration for "listening to my input, as well as the input of thousands of Alaskans who oppose rescinding the EPA's Bristol Bay assessment." "Alannah Hurley with United Tribes of Bristol Bay, a group opposing the mine, has said members of the tribes she represents are willing to lie down in front of bulldozers to protect the waters. She called the EPA's move huge. 'These proposed protections, the fact that the Trump administration is choosing to keep them on the shelf, is a recognition ... that the Pebble Mine is too toxic, even for the Trump administration,' she said. "Hurley spoke by phone from the commercial fishing hub of Dillingham, the seat of resistance to Pebble Mine, where she said activists were jubilant about the EPA's announcement. 'The people of Bristol Bay are really celebrating the fact that the protections that we have fought so long and hard for are not being withdrawn by the EPA and instead could potentially later be finalized,' Hurley said." But the EPA indicated the project could one day be approved, as the decision "neither deters nor derails the application process of Pebble Limited Partnership's proposed project. The project proponents continue to enjoy the protection of due process and the right to proceed. However, their permit application must clear a high bar, because EPA believes the risk to Bristol Bay may be unacceptable." "We expect the permitting process for Pebble to advance expeditiously over the next few years, and that a draft and final (Environmental Impact Statement) will be completed upon which final permitting decisions for the Pebble Project will be made," Northern Dynasty CEO Ron Thiessen told Reuters. The EPA plans to solicit additional public comment on the impact of the mining application. Hurley added to NPR, "Ideally we would like these [protections] finalized, and the battle to protect Bristol Bay from the Pebble Mine and mines like Pebble is far from over. But the fact that these protections remain in place and can be used within the process is a very positive step in the effort to protect the Bristol Bay watershed for generations to come."